Suppliers of Herb Acorus Calamus (calamus roots , sweet flag ) from INDIA . 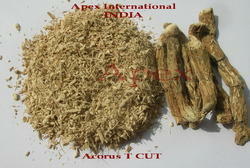 We commence our business as the leading organization of the best quality Acorus Calamus Root. Keeping the diverse requirements of the customers in mind, our company is involved in offering superb quality range of Sweet Flag Root(Vasambu). Sweet Flag is a perennial herb, semi aquatic, marshy plant with a creeping and much branched, aromatic rhizome. The rhizome is cylindrical about 19-25 mm in diameter and 10 cm long. It is light brown outside, white and spongy inside. The leaves are thick, erect and sword shape, when bruised emits strong scent. 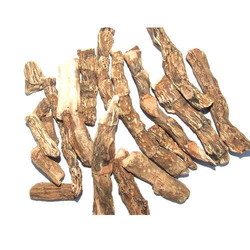 We offer Acorus Calamus Root.